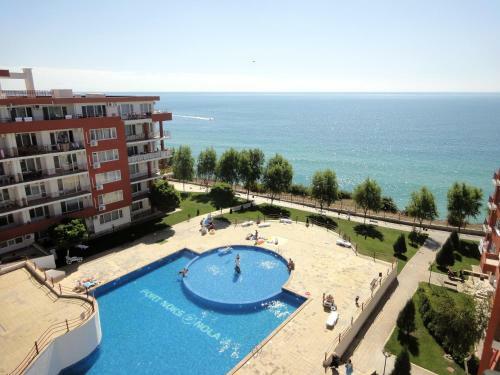 Offering spectacular sea views, Panorama & Marina Freya Resort is situated on the beach, one mile from Saint Vlas. 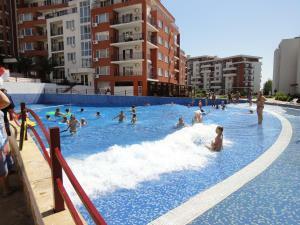 There are 8 swimming pools with attractions for children. 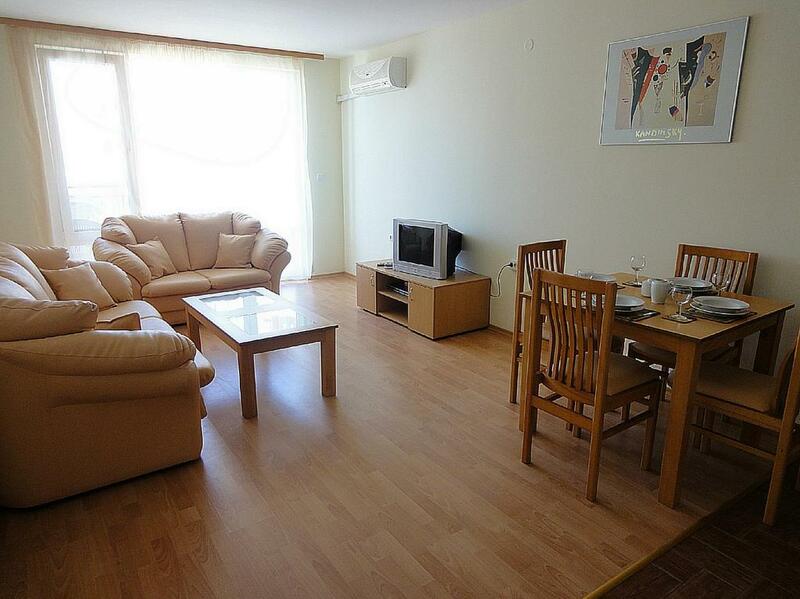 The air-conditioned studios and apartments have modern décor, furnished balconies with sea or pool views and cable TV. They have fully equipped kitchens, dining areas and are cleaned twice weekly. 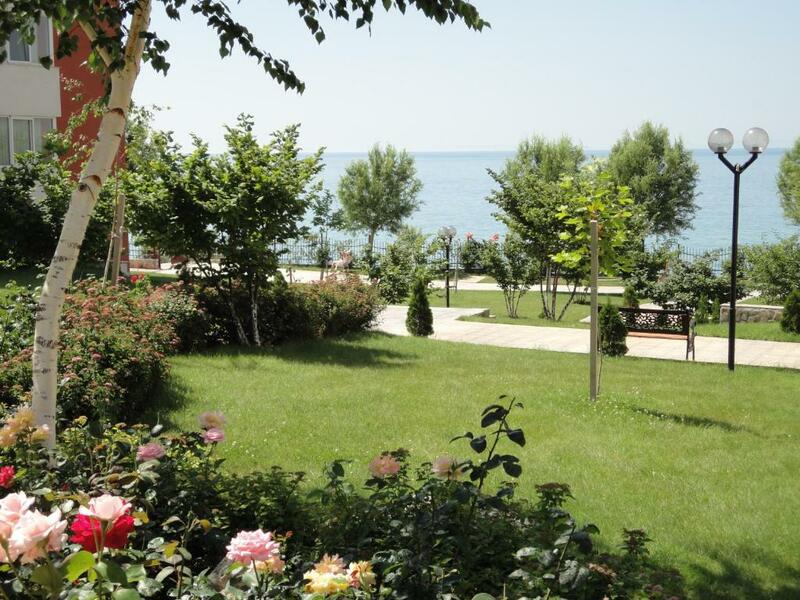 The Freya Resort has 2 restaurants serving various dishes including Bulgarian specialties, fish, salads and vegetarian meals. A grocery store is available nearby. 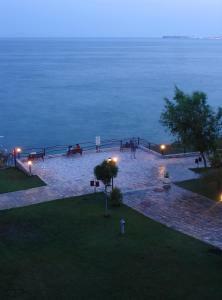 The resort features a gym, a sauna and tennis courts, which can be used at additional costs. The Panorama & Marina is 3 miles from the popular Sunny Beach resort. 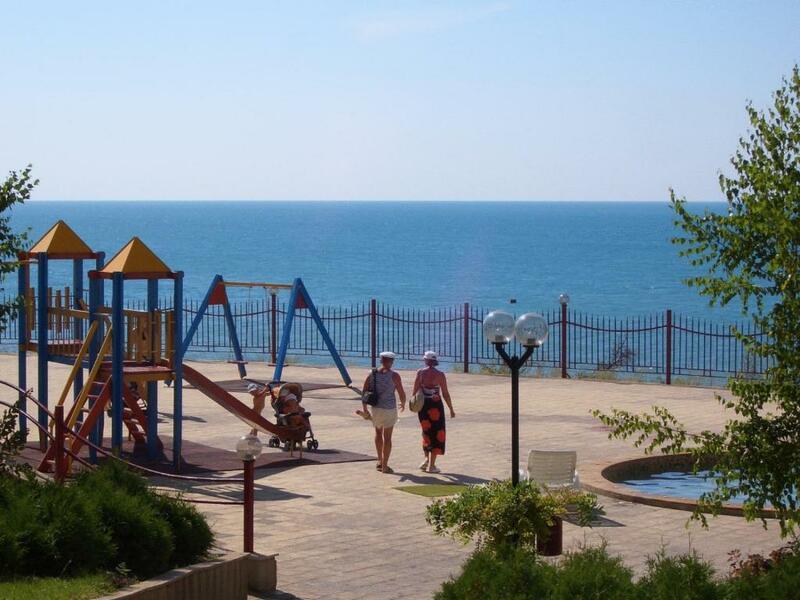 There is a local bus stop with buses to Sunny Beach in front of the complex. Panorama & Marina Freya Resort is a good starting point to explore the 3000-year-old UNESCO-listed Nessebar or Varna. Boat tours, visits to local restaurants as well as traditional show dancing can be organized. 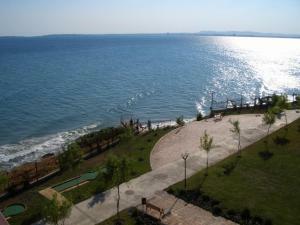 When would you like to stay at Panorama & Marina Freya Resort? 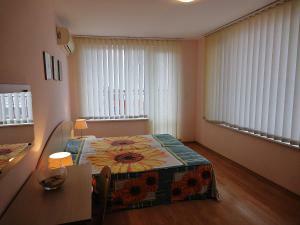 Spacious apartment with a living room, kitchen area, sofa bed, a bedroom with a double or twin beds, and a bathroom. This unit is cleaned twice a week. 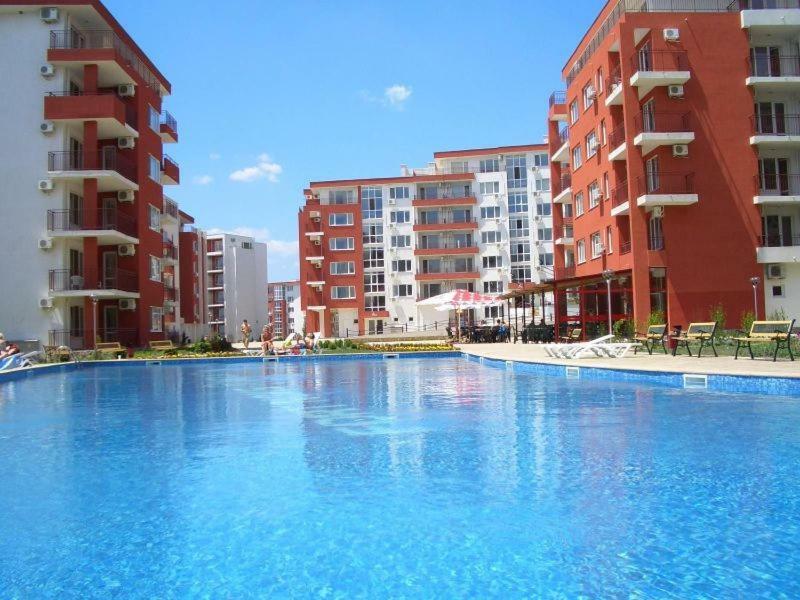 Spacious apartment with 3 rooms: living room with a kitchen area and sofa bed, 2 bedrooms with a double bed and 2 twin beds, and a bathroom. Wired internet is available in public areas and costs BGN 7.82 per hour. House Rules Panorama & Marina Freya Resort takes special requests – add in the next step! All children under 16 years are charged BGN 19.56 per night for extra beds. Panorama &amp; Marina Freya Resort accepts these cards and reserves the right to temporarily hold an amount prior to arrival. Panorama & Marina Freya Resort accepts these cards and reserves the right to temporarily hold an amount prior to arrival. If you will arrive after the latest check-in time, please call in advance to inform the hotel. A fixed amount of EUR 50 per room will be charged as security deposit on arrival and will be refunded upon departure if the accommodations is left in suitable condition. If you book your accommodations for more than 21 nights, you will be contacted by the Panorama & Marina Freya Resort about the deposit and the way of its payment. Please note that payment is due upon arrival, in BGN or EUR. Please inform Panorama & Marina Freya Resort of your expected arrival time in advance. You can use the Special Requests box when booking, or contact the property directly using the contact details in your confirmation. We need at least 5 reviews before we can calculate a review score. If you book and review your stay, you can help Panorama & Marina Freya Resort meet this goal.